Beauty trends, fashion trends… we all like to dip our toes in new and exciting trends every now and again (I know I do!). If you’re not exactly sure what a #BrondeGirl is, keep on reading – and if by the end of this blog post, you think you’re a bronde girl too…well, then I suggest you enter the giveaway to win an amazing prize hamper! What does ‘bronde’ mean, I hear you ask? It’s a new hair colour trend that’s taking the world by storm. Move over unicorn hair, move over ombre tresses – there’s a new sheriff in town! Like fashion, the beauty world needs a good ol’ palette cleanse every now and again. And 2017 is all about wearable, effortless hair that looks amazing on everyone. So, what exactly is bronde? It’s a subtle hybrid shade that lies between brown (or brunette) and blonde hues. Not all bronde shades are created equal either – your perfect bronde shade might be a medium brunette with lighter ribbons of very natural highlights (almost like my hair) or perhaps something that leans more towards being a golden bronde with darker tones to add dimension. What makes this hair trend so enticing, is that it’s seasonally-appropriate (you can rock it all year long) – plus bronde requires minimal upkeep. It’s easy to maintain, and best of all – little to no hair damage because the hues are so natural. With bronde you get the best of both worlds – blonde & brunette. I imagine most people think brunettes are more serious, and blondes supposedly know how to have more fun…but combine the two, and the end result? Someone who knows how to have some SERIOUS FUN! It’s almost like the quote by Aristotle: “The whole is better than the sum of its parts.” Some things are just better when you combine them i.e. cinnamon & sugar = Cinnabon, anyone? Yum! Or caramel & coffee = Caramel Frappuccino. Yes, please! I don’t know about you, but this is definitely a beauty trend I can sink my teeth into! 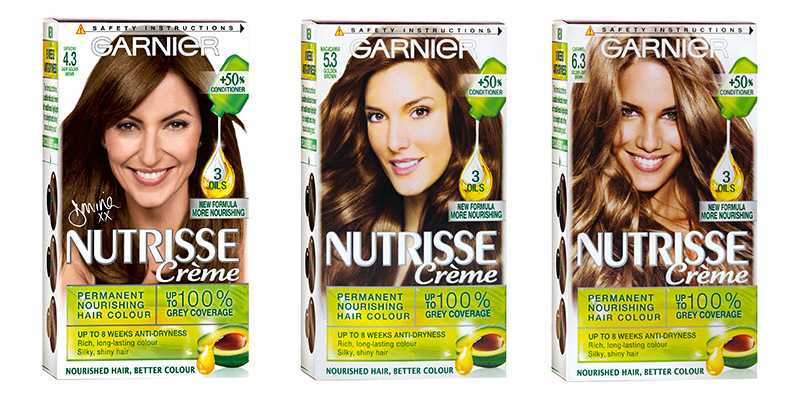 And that’s where Garnier Nutrisse comes in. Garnier is keeping up with the latest hair trend, and have created 3 gorgeous bronde shades to help you achieve the perfect hue at home. There’s Cappuccino 4.3 Dark Golden Brown, which is very close to my current hair colour. Then you have Macadamia 5.3 Golden Brown, a stunning rich mid-tone brown with a maple syrup undertone. And then there’s the brand new Caramel 6.3 Golden Light Brown, which is a bit lighter and has a slightly cooler undertone. I was at a Garnier press event a few weeks ago where we were introduced to the new 6.3 Golden Light Brown shade – SO many ladies (especially blondes) were obsessed with this specific shade. It really is gorgeous! 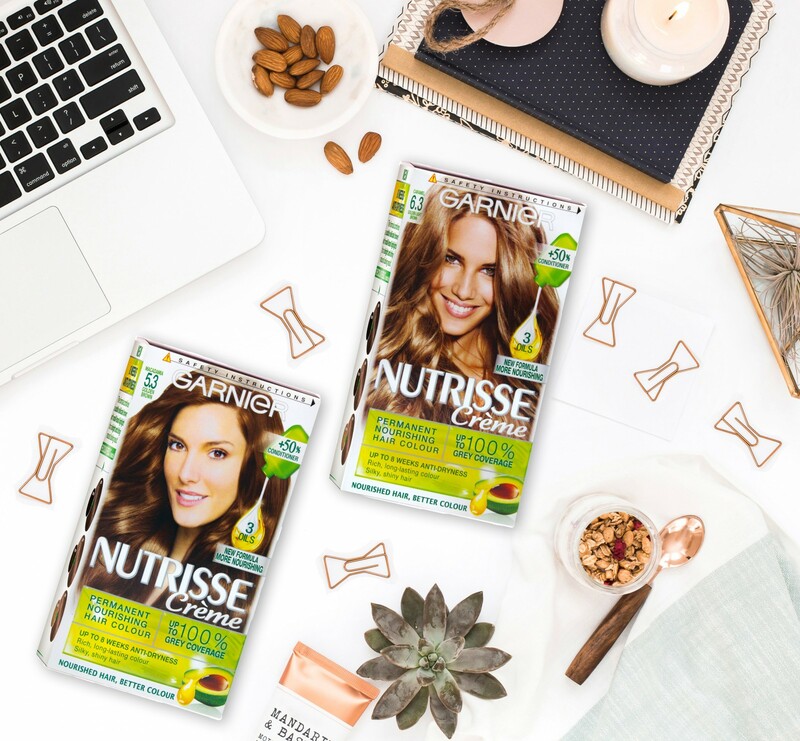 I have been a Garnier Nutrisse girl for quite some time now – when I first made the transition from blonde to brunette in 2013 (my natural hair colour is a very boring mousey brown), I visited my hair stylist every 8 weeks to refresh my colour. After a while I decided that it was getting a bit too expensive for me (Gary Rom is essspensive, y’all), so in 2015 I decided to try my luck with Garnier Nutrisse in 4.15 Iced Coffee and I haven’t looked back since! My hair is quite long, so I usually use 2 boxes of hair dye and I like to mix 4.3 Dark Golden Brown with 4.15 Iced Coffee to add a bit of warmth. If you’re in the mood to spruce up your look (especially with Winter around the corner), then I highly recommend you try one of the Garnier bronde shades. Top Tip: Apply conditioner to small sections of your current hair colour, then dye the rest. The conditioner will ‘protect’ the strands against the dye, thus leaving you with different dimensions of hair colour (very natural highlights). I’m very adventurous when it comes to most things in life – I’m always up for trying new food combinations, new beauty treatments (microblading, jet plasma, facial peels, stiletto nails), new hair styles & hair colours, anything really (unless it involves heights). So, in my mind I’m definitely a #BrondeGirl – I know how to enjoy myself in different ways, and I love to try new and exciting things! New experiences = serious fun (for me, at least). Right, so let’s move on to the best part of this blog post! Garnier wants to know if YOU are a #BrondeGirl – do you know how to have serious fun? Would you describe yourself as someone who is sweet, but with a dash of spice too? I have pretty darn amazing Garnier hampers to give away to TWO lucky Pink Peonies blog readers. Each prize hamper consists of: 1 x R1500,00 Gift Card for ANY shopping mall of your choice, and 1 x Garnier Bronde collection (all 3 shades). You can spend the R1500,00 voucher on anything your heart desires i.e. fashion items, beauty products, décor….literally anything! To enter, all you have to do is complete your chosen entries via the Rafflecopter widget below. Easy peasy, lemon squeezy! Show me how you live like a #BrondeGirl! Tag me in a photo on Facebook or Instagram, OR send me a tweet (attaching a photo) showing me how you like to have SERIOUS FUN! It doesn’t have to be a selfie – it can be a photo of something…anything that showcases your idea of fun. There is absolutely no right or wrong answer – we all like to have fun in different ways. Perhaps it’s a photo of the makeup products you like to use to create a fab smokey eye for a night out on the town, or maybe it’s a photo of that delectable rainbow cake you like to bake with your kids. I want to see exactly how you like to have fun, and why you think you are a #BrondeGirl. Please note: Your hair doesn’t have to be a bronde shade in order to enter the giveaway – anyone can enter! ♥ The giveaway will run until 11:59pm on Friday, 19 May 2017, with 2 winners being selected at random shortly afterwards. I always announce the winners of my giveaways on Facebook and Twitter, so make sure you follow me on both social media platforms. ♥ Garnier SA is responsible for delivering the prize to the winner – delivery can take anywhere between 2 to 6 weeks. 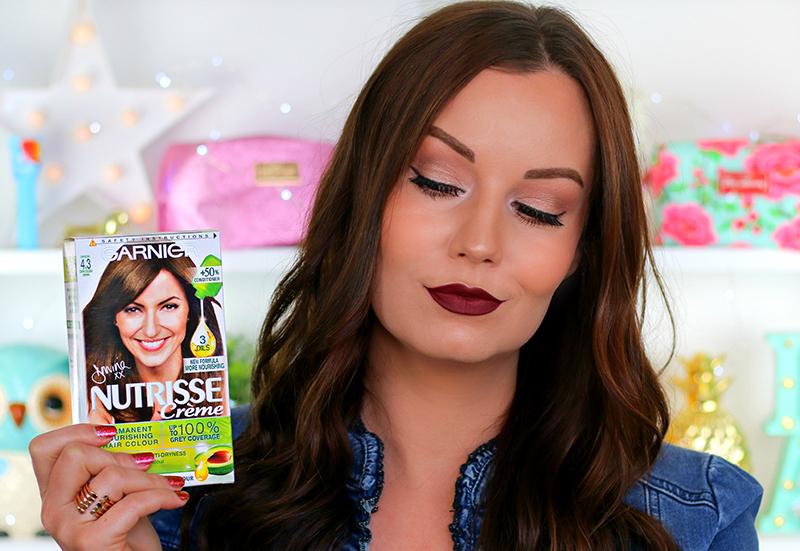 Disclaimer: This blog post is in sponsored collaboration with Garnier South Africa. Wow!! Luv the new colours! P.S. Love that lipstick, Luzanne! I definitely would like to try these products. YES!!!! I love Garnier hair colours! I am a single mom I dye my hair once every 2months and to be able to win this would be 6 months saving for me and an absolutely amazing treat for myself as I use the R30 box hair dye. Done all on social media and holding thumbs for a miracle for myself for once. Being a natural brunette, blonde has completely ruined my hair! #bronde would be the best of both worlds ❤ would love to give it a try! >>raises hand<< I'm a bronde girl, been one for the last 10 years. 🙂 Thanks for the great giveaway, L! #brondegirl love the giveaway!! Bring it on yeah! Ooooh this bronde is tantalising me to change!!!!! What an amazing giveaway it would be a great gift for my gf as its our anniversary soon!